Johannesburg - South Africans will find a little comfort in knowing that they are not alone after Bafana Bafana were mocked for being the lowest ranked team going into the 2010 World Cup draw (85th). They also went on to become the first host country to fail to go beyond the group stages in the history of the event. Ahead of Friday’s 2018 draw, Russia is in the same boat. Although seeded as hosts, they will go into the draw as the lowest ranked side at 65. So, when the tournament starts they will be hoping not to follow in Bafana’s footsteps by failing to get out of the group stages. Russia are not considered a major threat in world football, especially after finishing last in the group stage of the Uefa European Championship last year. Without needing to qualify, they have only played friendly matches and are not expected to pose a serious challenge – just like Bafana weren’t. But, for now, it is all about Friday’s event. The State Kremlin Palace in Moscow is the place to be for those who were lucky enough to book a spot in next year’s finals. South Africans will join millions who miss out on the world’s spectacle. 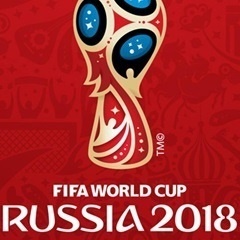 As the host nation, Russia will automatically go into Group A and kick off the tournament in the first match on June 14. Interestingly, according to the seeding, all but one of the world’s top 10 countries are going to Russia, with ninth-placed Chile the only casualty in the qualifiers. Only four countries ranked in the top 20 won’t be in Russia. Wales, Italy and Netherlands, who are ranked 14, 15 and 20, respectively, join Chile as the other top teams not going to the finals. Brazil, the most successful nation in the history of the World Cup, with five wins, have not once failed to qualify for the event and will be looking to extend their lead at the top. The absence of four-time champions Italy means defending champions Germany (also with four titles) are the only ones who can catch Brazil – if they can successfully defend their title. With two titles each, Argentina and Uruguay are the only other countries to have won multiple World Cups. England, France and Spain have each won the World Cup once. According to the rules, no group may have more than one team from the same continental confederation – with the exception of Uefa, which may have no more than two in a group. But no two South American countries, African teams or Asian sides can be drawn together. The European confederation has more numbers at 14, including the hosts. The pots were determined by each country’s October Fifa ranking, with pot one containing the seven highest-ranked teams as well as the hosts. This means that eighth-ranked Spain falls into pot two. Spain, who won their maiden title in 2010, have been dealt a blow after being pushed out of pot one to accommodate hosts Russia and this could see them facing one of the world’s powerhouses. Having gone through the qualifiers without a loss in 10 games – nine wins and a draw – Spain’s drop in the rankings in recent years was their undoing as they now face the possibility of meeting one major country in the opening round. This means that there could quite easily be a group with Argentina and Spain or England and Brazil. Belgium and Uruguay could find themselves in the same group. This will be revealed on Friday when all eyes will be on the Kremlin. The top two teams from each group will advance to the knockout stages (round of 16).